Thieves have stolen a large quantity of items from a business near Alford. The commercial burglary occurred overnight between April 6-7 at a premises in Hannah, near Alford. 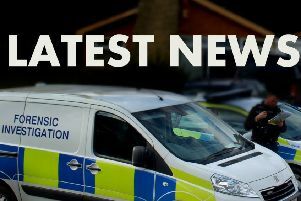 Approx £5,000 worth of timber and tools was stolen, including a blue Blueline flat bed trailer, an air compressor and a nail gun. Anyone with information is asked to contact PCSO Barnaby Prince on 101, quoting incident number 43 of 7th April.